A famous playwright asked 'what is in a name?’ In Africa, your name is a strong indicator of your origins, ethnicity, and at times nationality. So, my maiden name is Biraaro, meaning many kraals and my marital name is Kansiime, meaning 'praise'. When you’re asked ‘who are you?’, it’s a subtle demand for you to say your surname and address any questions concerning your family and ethnic identity. Your ‘Africaness’, is stamped on you from the time of your birth, by your family and society at large. You are told who you are, which sometimes leaves less room for self-discovery. Here are four pictures about me and my identity. 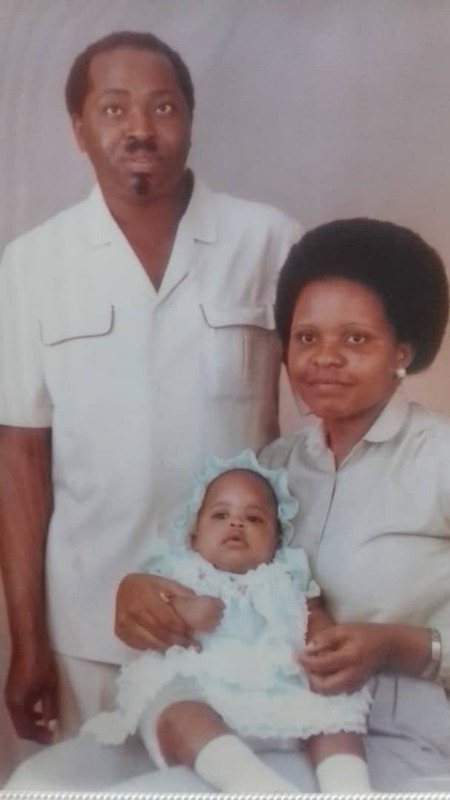 Flashback to the early 80s, this wonderful couple had a bouncing baby girl. That's me with the cute hat in case you are wondering. At a first glance, my race is evident; the descent not so much. What I first learnt about who I was is from my parents. My parents captivated my four younger sisters and I with stories of my grandparents and ancestors. I can trace my paternal roots to the 17th generation and this was passed on through oral tradition. My father (rest his soul) was proud of his origins and my mum further inculcated this identity in us by raising us to be proud successful African women. This picture reminds me of who I am, to learn from my parents and to inspire my children. I love my country, Uganda, and its motto cannot not get more patriotic. When I think of my African identity, one of the things that comes to my mind is the existing legal and citizenship system that seems to cement this notion. Ordinarily, one of the ways of showing your ‘Africaness’ is to prove that you are born in an African country or that you have African ancestry or origins. 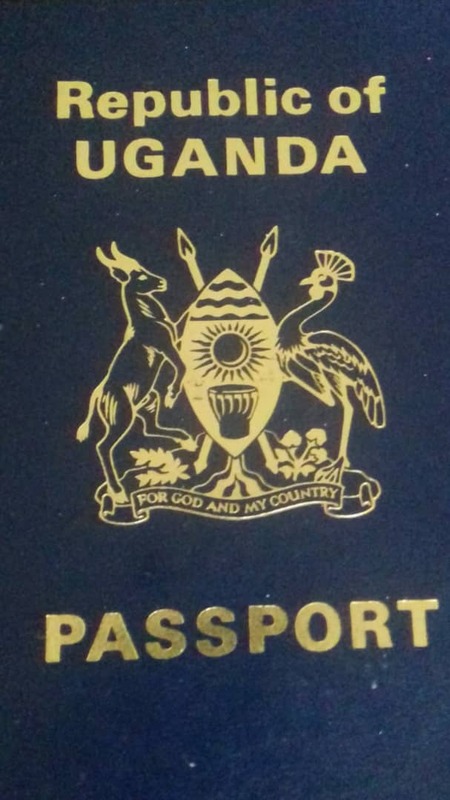 I wish our skin colour, or our passports could give us access across all of Africa’s continents. One can dream! ﻿Afro-natural, weave, wig, perm or plait? I took this pic a year ago when I couldn’t tame or run a comb through my hair, so I wrapped it in a bandana. At that time, I remembered Chris Rock's documentary called 'Good Hair', it addressed the mixture of fear and fascination that African hair seems to attract from its audience. If our hair could speak, I think it would speak of unfair treatment and slavery. 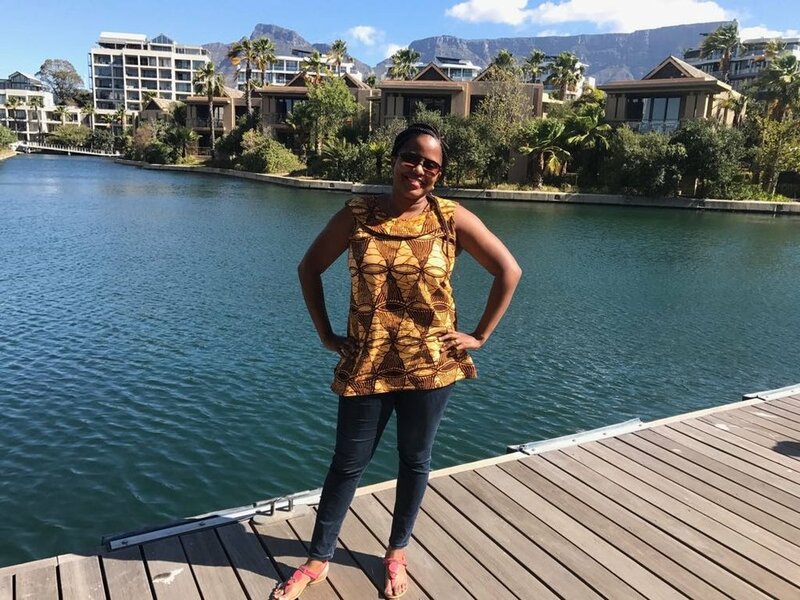 On this day, I decided to play dress-up and wore one of my few African print tops. One thing about African print is that it’s not silent, it’s bold, artsy and independent. It’s more than a fashion statement, design or trend. It is a celebration of our identity. Its diverse colours, prints and textures reflects our unique cultures and beautiful shapes. Africa also has rich and beautiful landscapes, flora, and people that need to be seen. I can never forget what I have never known.